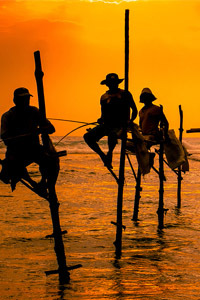 TourGuideInSriLanka.com is your travel associate for your holidays in Sri Lanka. We organise the complete Sri Lanka holidays package for you to entertain & lock by yourselves with the beauty of the sand,sea,sun & land for few days. 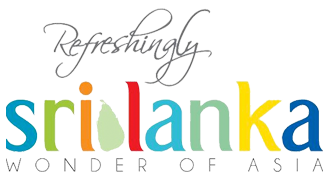 Here is the process on how do we coordinate and design your holidays in Sri Lanka . Planning your holidays to Sri Lanka and preparing your travel itinerary for Sri Lanka. Booking hotels & accommodations in Sri Lanka. Receiving you at the airport & the Sri Lanka holiday tours begins. Confirm we are sticking with our holiday plan & guide you to the tour destinations in Sri Lanka with friendly support. Drop you at the airport for departure. We will input recommendations of, places to visit & things to do in Sri Lanka based on your holiday interests. 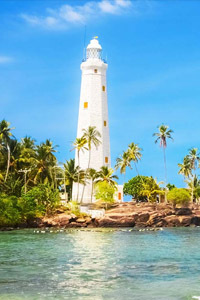 With years of experience in the Sri Lanka tours and travel industry for many years, TourGuidInSriLanka.com delights to suggest the best activities to participate and places to visit in Sri Lanka during your vacation to the beautiful island. If you are reading a honeymoon holidays to Sri Lanka, we propose to have a visit to Bentota river safari, a boat ride in Gregory Lake in Nuwara eliya, photo shoot at Unawatuna Beach in South, Beach walk in Negombo Beach, sip sup of tea in Nuwara eliya with cold climate to form the romantic feeling, have a sight seeing tour & shopping in Colombo and so on. If you are looking for an adventurous holidays in Sri Lanka, we praise to have trekking in Sinharaja forest, hiking Adam's peak mountain, hiking Ella rock, white water rafting in Kitulgala, camping in Horton plains wild life national park, Jet Ski ride in Bentota, windsurf in Tangalle Beach, scuba diving in Hikkaduwa, snorkelling in Pigeon Island Nilaveli beach & etc. Sri Lanka is labelled as one of the economic travel destination in the World. Even though you can have cheap holidays in Sri Lanka, still you can own luxury holidays in Sri Lanka too. Simply let us know how much you wish to spend for your heart touching vacation in the old Ceylon. In the tourist hotspots in Sri Lanka, there are the world class hotels & resorts with complete luxury features, there are accommodations with semi luxury features, also there are the budget hotels & guest houses with limited rich features. There are travellers, wish to experience the guest houses with Sri Lankan foods even though they have budget for luxury holidays. Please let us know what your consideration in terms of your holiday budget & how many days you wish to spend in Sri Lanka, accordingly we can reserve the accommodations for you in the sites you will be visiting. Not only accommodations in the tourist attractions in the country, we organise the things to do in Sri Lanka too. 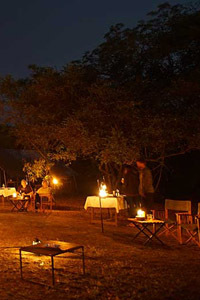 If you are looking for camping in Yala or Horton Plains we arrange the camp sites and other necessities. You may be excited to have fun with water sports in beaches, we prepare the required plans for you to participate in the water sports. There are training centres for some adventurous water sports, we can connect you with them to practice and have fun with the water games. You may searching for a jeep safari in Yala or Minneriya or other wild life parks, we coordinate the jeep safari for you to experience the best of Sri Lanka. Not only these there are lots and lots of things to do in Sri Lanka, let's discuss more and find out the best Sri Lanka holiday packages which satisfy your travel likes, please contact us today. We arrange all types of Sri Lanka holidays, may be it is individual or couples tour to Sri Lanka, family holidays to Sri Lanka, honeymoon holidays in Sri Lanka, Sri Lanka group tour, cheap holidays in Sri Lanka, Sri Lanka luxury tour and more. Discuss with us what type holiday do you wish to have in Sri Lanka, and your holiday interests & passion. After the discussion on planning your holidays to Sri Lanka, we will work on preparing the Sri Lanka tour itinerary for your holidays. The itinerary includes the places to visit, hotels/guest houses to stay in, brief on things to do in Sri Lanka along with the estimated time of transfers among the tour destinations in the country.